A great audio book is about much more than the text. Engaging content and a riveting story are crucial, however a narrator can make or break the listening experience. Yes, the narrator is reading the book, but I don’t want it to feel like he’s reading the book. The best audio books make you feel as if the person is right there with you, telling the story. Here’s a list of 10 magnificent audio books I have found to be prime examples of the best of the genre. 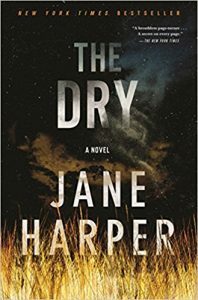 The Australian narrator took a little effort to get used to, but then I was completely absorbed in this incredibly compelling story. It’s the perfect blend of thriller and literary fiction. I was frustrated any time I had to stop listening so I went to the library and got a physical copy, so I could go back and forth in order to keep going! 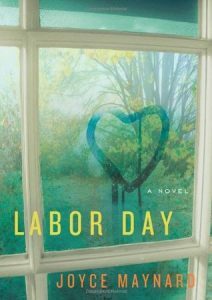 The entire book takes place over a weekend. A frantic pace is set from the first page. I was listening one evening while doing chores and found myself standing still in the kitchen listening intently because it was all I could focus on. This is the most compelling non-fiction book I’ve ever read. Krakauer is the master of taking facts you already know and weaving them into a story so you feel as if you’ve never heard it before. 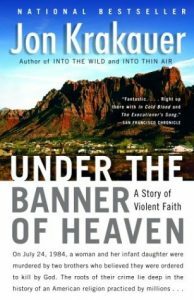 Narrator Scott Brick makes any book intense and riveting. 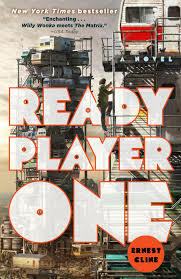 I’m not typically a fan post-apocalyptic tales, but this is a truly unique story with a protagonist you can’t help but root for. The references to 1980’s video games make the concept even more interesting. 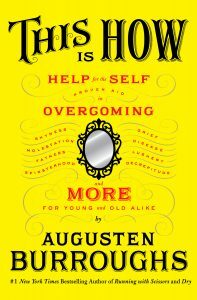 A self help book of sorts, this collection of essays gives advice with Burroughs’ typical witty cynicism. His delivery is spot on, his advice raw and realistic, it’ll make you laugh out loud! Here we have 13 year old Madison who has woken to find herself in Hell. Each chapter begins with “Are you there Satan, it’s me Madison” and it never gets old. 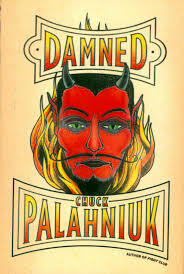 Palahniuk can be hit or miss for me, but this is some of his best dark, twisted storytelling. 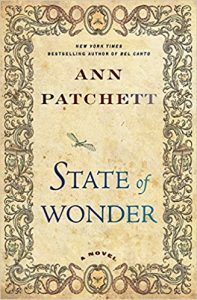 Ann Patchett’s writing is magical. Here it’s blended with a fascinating story involving science and human nature, in the setting of the Amazon rain forest. This is one of the first books I had to find a physical copy for so I could go back and forth to reduce the amount of time I was without this story! If I’d physically read this book I would have likely found it to be solidly okay. Narrator R.C. Bray makes this book come alive in a way I never could have done on my own. I found myself holding my breath at the end as I waited to hear what happened. I’m a little biased on this one because I adore Tina Fey, but this book is sheer joy. If you’re a fan, you’ll appreciate it a great deal, even if you’ve read the book on your own. Her humble nature and comic genius make a fantastic pair here. 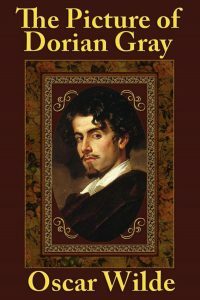 This was one of the first few audio books I ever listened to, and one of my first ventures into classic literature. The story is magnificent on its own, but listening to it adds an extra creepy factor too good to resist! Have you listened to any of these audio books? Do you have others in mind you’d add to my list? I haven’t listened to these (though I’ve read about half of them in book format), and I may have to give some of them a try. I got a new audiobook that I’m not into, so I’ve stopped listening. It’s interesting how much the experience of reading vs. listening plays into my enjoyment of a book. 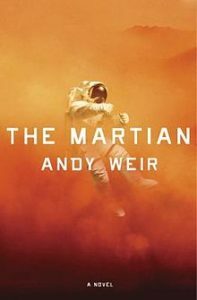 The Martian was one of my first audios and it was fantastic! I’m doing a re-read of Bel Canto for a challenge and the audio is also gorgeous! I’m not much of a re-reader but audio is almost like reading for the first time. Also, Scott Brick is my husband’s favorite narrator.